The estimated price is £40,000 – £60,000 ($60,400 - $90,600) but the watch sold for £103,875 ($160,175). The famous watch was recently discovered by a Bond fan. Read the incredible story here. James Bond's specially modified Breitling Top Time wristwatch used in Thunderball (1965), is composed of a stainless steel chronograph timepiece by Breitling, Ref. 2002, case no. 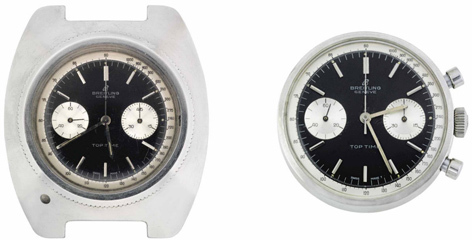 984343, manufactured in 1962 and then modified, the black dial with applied baton hour markers, luminous hands, sweep centre seconds, two subsidiary dials for constant seconds and 45 minute registers, and outer silvered tachymeter scale, in circular case with two chronograph buttons in the band, case 35mm wide, case and dial signed, mounted in glazed water resistant type case with screw down bezel and case reverse, by Valley Tool Company, 47mm wide, signed V.T.C., made for Sean Connery as James Bond in the 1965 United Artists/EON Productions film Thunderball. 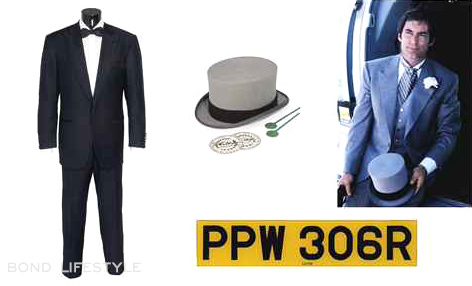 The Pop Culture sale on June 26 also included a table from Thunderball which sold for £1,250 ($1,928), Lotus Esprit license plates (PPW 306R) from The Spy Who Loved Me (£2,375 / $3,662) some clapperboards, a Brioni tuxedo, Turnbull & Asser shirt and S.T. Dupont Cufflinks from Daniel Craig in Casino Royale (sold for £11,875 / $18,311) and a Lock & Co. Hat signed by Timothy Dalton from Licence to Kill (£4,375 / $6,746). 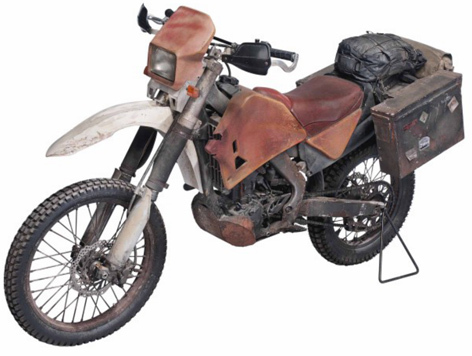 A modified Honda CRF250R motorcycle used in the filming of SkyFall was sold for £25,000 ($38,550).